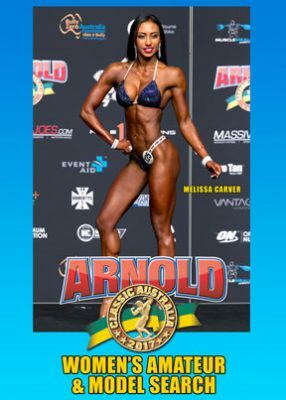 The Women’s DVD presents all of the Classes of the 2017 ARNOLD AUSTRALIA WOMEN’S AMATEUR & MODEL SEARCH. See all of the lineups, posing, key comparisons, callouts and all awards, plus the OVERALL AWARDS and the awarding of 3 Pro Cards. The winner of the Women’s Figure Open – Overall & Pro Card was Silvia Kovacsova of Australia. The winner of the Women’s Bikini Fitness Open – Overall & Pro Card was Melissa Carver, also of Australia. The Women’s Physique Open & Pro Card winner was Karolína Borkovcová of the Czech Republic. Disc #2: Figure & Women’s Physique. RT 100 mins.